Read up on the books and articles that have inspired us on our journey to keep trying no matter what. These readings aim to show you that consistency and effort play a huge part in your success and a reminder that you are not alone in your struggle. "Start Where You Are is an interactive journal designed to help readers nurture their creativity, mindfulness, and self-motivation." "YOU ARE A BADASS IS THE SELF-HELP BOOK FOR PEOPLE WHO DESPERATELY WANT TO IMPROVE THEIR LIVES BUT DON'T WANT TO GET BUSTED DOING IT." "A succinct, engaging, and practical guide for succeeding in any creative sphere, The War of Art is nothing less than Sun-Tzu for the soul." 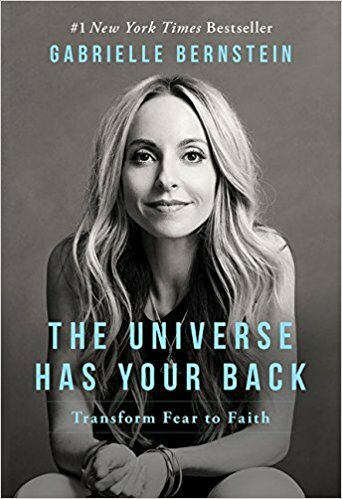 "In her latest book, The Universe Has Your Back, New York Times best-selling author Gabrielle Bernstein teaches readers how to transform their fear into faith in order to live a divinely guided life." 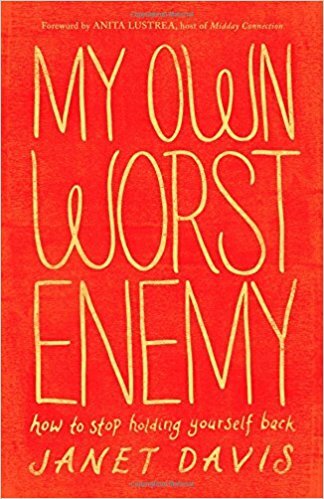 "Through stories of modern and biblical women, My Own Worst Enemy explores both the calling of women to shine and the complex dynamic of self-sabotage that often keeps them from daring to obey. Janet Davis shows women how to break the cycle of shame and self-doubt to achieve their full potential." 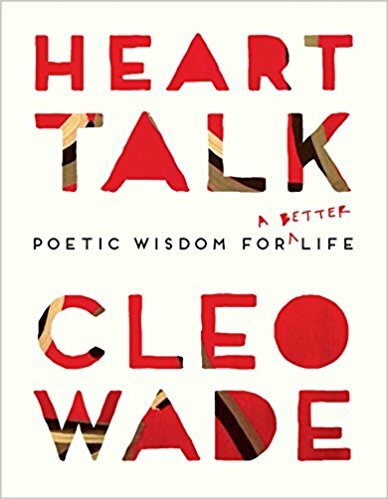 "Cleo Wade brings her moving life lessons to Heart Talk, an inspiring, accessible, and spiritual book of wisdom for the new generation. Featuring over one hundred and twenty of Cleo’s original poems, mantras, and affirmations, including fan favorites and never before seen ones, this book is a daily pep talk to keep you feeling empowered and motivated." 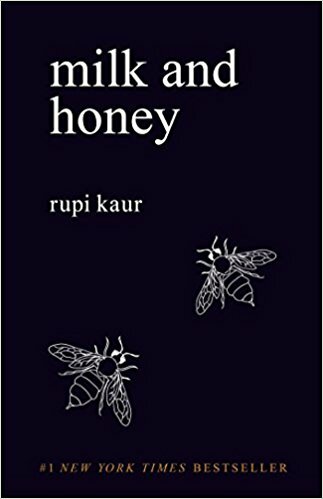 "Milk and Honey is a collection of poetry and prose about survival. About the experience of violence, abuse, love, loss, and femininity." "In Why Not Me?, Kaling shares her ongoing journey to find contentment and excitement in her adult life, whether it’s falling in love at work, seeking new friendships in lonely places, attempting to be the first person in history to lose weight without any behavior modification whatsoever, or most important, believing that you have a place in Hollywood when you’re constantly reminded that no one looks like you." "Organized by theme―joy, resilience, connection, gratitude, possibility, awe, clarity, and power―these essays offer a rare, powerful and intimate glimpse into the heart and mind of one of the world's most extraordinary women―while providing readers a guide to becoming their best selves. Candid, moving, exhilarating, uplifting, and frequently humorous, the words Oprah shares in What I Know For Sure shimmer with the sort of truth that readers will turn to again and again." "Like a wise girlfriend you can totally relate to, Danielle cheerleads you to own your wisdom and self-worth by having a good laugh (and maybe a good cry) at the ways you’ve been trying to improve on your self-improvement. Rooted in compassion, feminism, and spiritual activism White Hot Truth is an intimate and (hilariously) relatable account of self-help tales gone wrong, and very right." "In this generation-defining self-help guide, a superstar blogger cuts through the crap to show us how to stop trying to be "positive" all the time so that we can truly become better, happier people." "She Wins is the ultimate guide for women, filled with valuable lessons, quotes and affirmations to gain a winning mindset and lead a winning lifestyle." "Wayne Dyer, psychotherapist and world-famous author of worldwide bestsellers Your Erroneous Zones and Pulling your own Strings, shows you how to improve quality of life by tapping into the power that lies within you and using constructive thinking to direct the course of your own destiny." "From #1 New York Times bestselling author Gabrielle Bernstein comes a clear, proactive, step-by-step process to release the beliefs that hold you back from living a better life." "Joining the ranks of The Life-Changing Magic of Not Giving a F*ck, The Subtle Art of Not Giving a F*ck, You Are a Badas*, and F*ck Feelings comes this refreshing, BS-free, self-empowerment guide that offers an honest, no-nonsense, tough-love approach to help you move past self-imposed limitations." "When the best option is to let go of the life you planned for yourself and find a new path, a world of possibilities can surprisingly open up. Learn whether it is time to let go, and if so, how to move through your grief and find your way forward in The Next Happy."